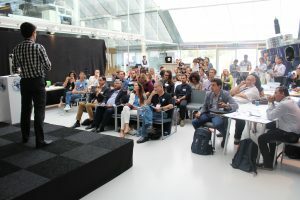 On Sunday 22 July, SBIC Noordwijk proudly hosted the ISU Start Up Event. 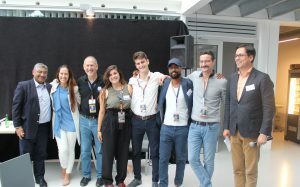 This entrepreneurial pressure cooker was organized as an elective part of the International Space University’s Space Studies Program 2018. Some 60 ISU students were joined by a dozen students from the Climate KIC InnoSpace Journey, which was also in town this week. The participants met up bright and early in Noordwijk for breakfast. The students were invited to pitch the (newspace) business ideas that they wanted to work on and to find group members to support them. 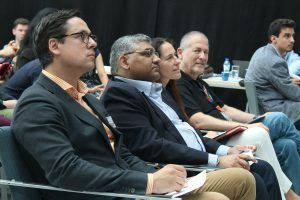 Most groups had already been formed in the weeks leading up the event, but some groups re-formed, leading to some great collaborations between space experts and climate change savants. In the morning, the students were inspired through practical workshops, addressing entrepreneurial basics such as the Business Model Canvas and successful pitching. Several ISU alumni shared their personal stories; since graduating from ISU, Wendy Mensink, Coen Jansen and Kartik Kumar went on to found their very own space-based startups Viridian Raven, Hiber and satsearch. In the afternoon, the groups spread out through the SBIC building and got cracking on their business plans. After only a few stressful hours, they had to hand in their pitches at four o’clock! No less than 17 groups finally pitches their ideas in front of an expert jury. And apparently, the jury had a hard time choosing between these great ideas, because they awarded two first prizes and two second prizes!